This week at The Perfect Sentiment we are challenging you to create a card with a sentiment of friendship and make it "girly". 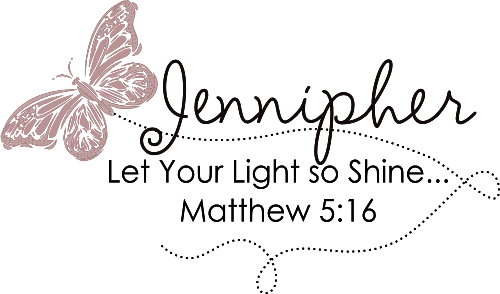 Our Sponsor this week is MelJen's Designs! They will award one lucky random winner 4 free digis of their choice! I decided to work with flowers. Girls love flowers! These flowers are 3-D Art from Classy Cards N Such Online Store. These are so fun and easy to work with. They come with a base image and then you just build up the image by adding layers of different parts of the flower with foam pads. Putting them together is a cinch and I use them anytime I need a quick and easy elegant card. My sentiment is from Gina K Designs. I surrounded it with Liquid Pearls in Rouge. Be sure to stop by The Perfect Sentiment to see what my fellow designers created! Thanks for stopping by today. May God Bless You! That's a really pretty card, Jennipher. And the flowers really do come off the card front! Lovely. 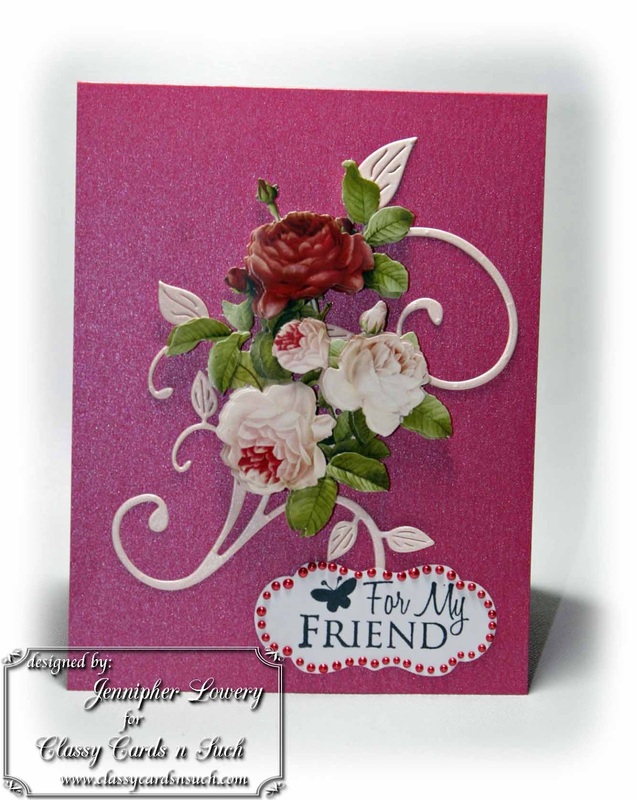 This is such a pretty card with those gorgeous 3D flowers and beautiful flourish accent! I love the rose colored cardstock and pearls surrounding the sentiment too! SO much dimension from those flowers! Lovely. 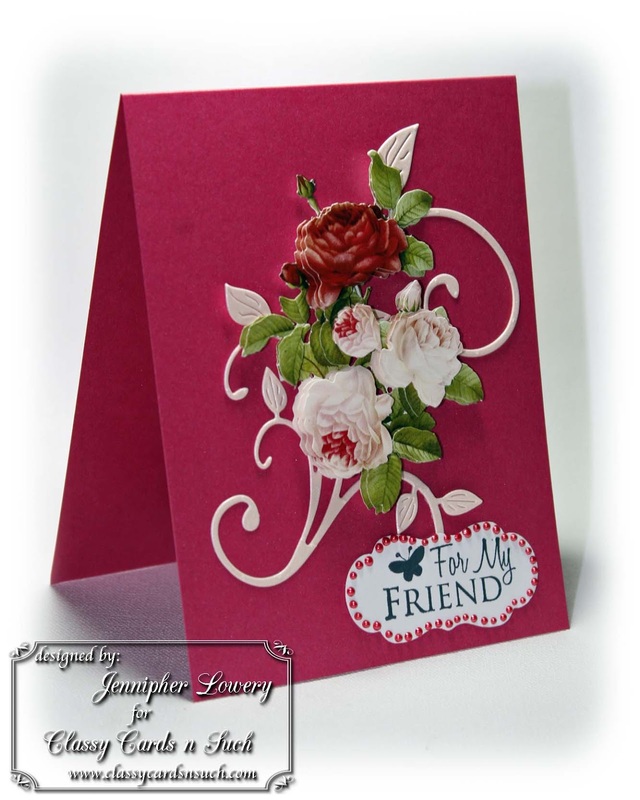 I love the 3D effect on your card Jennipher and those flowers are gorgeous! Thank you for providing the link. I will have to check it out. Beautiful card Jenn. The 3D flowers are awesome and elegant. Great job pulling it all together. Oh, those roses are lovely! The swirl looks great with them too! Who wouldn't love to receive a lovely bouquet in the mail! The colors are so rich & vibrant. Really nice. Simply beautiful Jennipher! Thanks so much for joining us at The Sisterhood ‘DIAMONDS, PEARLS and/or LACE’ challenge and please come back again soon! Gorgeous! Love the beautiful flowers and the liquid pearls around your sentiment just sets it all off.